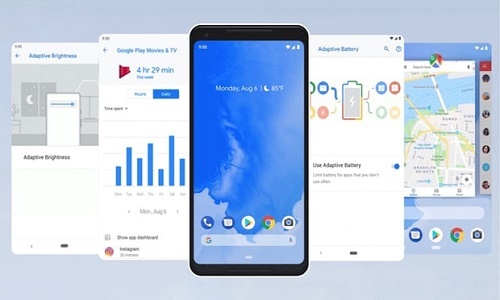 Adaptive Battery learns how you like to use your phone, so the apps and services you don’t use as much aren’t a battery drain. In previous version of Android i.e. in android 7 (Oreo ) at most 2 device can be connected at a time but here in Android 9 (Pie) you can connect upto 5 device at a time . Not only that , it remembers your volume preference for each Bluetooth device. Whenever an app is open that supports landscape, you’ll see a new rotation lock icon pop up in the navigation bar to the far right. Tap it, and the app will rotate. This does not change the overall system setting as you're actually locking that app to landscape when you tap the icon. Here if you activated the Lockdown mode then it automatically stops your fingerprint and face authentication temporarily on the lock screen . In Android 9 Pie, if you’ve enabled Wi-Fi hot spot & If Android detects that no devices remain connected , there’s a new setting that will automatically turn hotspot off. When your copy and pastes demand precision, you’ll be happy to have the new zoomed-in magnifying glass that appears above the text you’re trying to grab. This one is a simple but appreciated improvement: the ambient display on Google’s Pixel 2 now shows current weather conditions / temperature and your battery percentage. With Android 9 Pie, Google has added support for “sound delay reporting,” which could go a long way toward eliminating the pesky audio lag that you sometimes get when watching videos with wireless earbuds — especially with truly wireless ones. In Pie , A built in app timers let you know how many time you are using a apps . When you reach your pre-defined limit it will remind you . Android 9 now supports external USB / UVC cameras on certain devices. Not only that ,now developers can now create immersive experiences using streams from two or more physical cameras, such as on devices with either dual-front or dual-back cameras. With Select to Speak, you can select text on the screen and the content will be read aloud. Now, Android 9 has added added OCR support for S2S in Camera and Pictures to make text even more accessible. Simply select text when using the camera or in picture, and the text will be highlighted and read aloud. Android 9 now provides the ability for Enterprise IT admins to define freeze periods up to 90 days during which time devices in their fleet will not update the Android OS. Android 9 introduces a number of new security features, including a standardized biometric authentication. On compatible hardware, apps can now use UI controlled by the secure hardware to get your confirmation for a sensitive transaction, such as making a payment. Android 9 safeguards privacy in a number of new ways. Now, Android will restrict access to your phone's microphone, camera, or other sensors when an app is idle or running in the background. Some users will surely lament the loss of a back button. But change is hard, and advances in technology mean buttons are no longer the only way to get around phones.Voice and gesture controls are infiltrating smartphone design, thanks to improvements in technology like natural language processing. 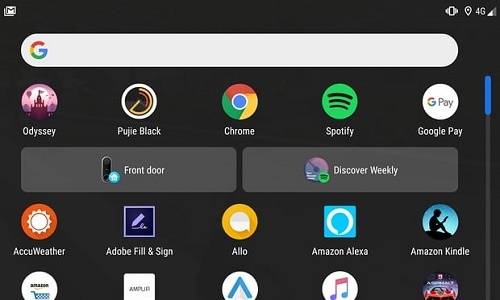 Android Pie has removed some buttons and replaced them with a gesture based system — a combination of swipes and scrolls to dance around the interface.